Fovea - Stunningly simple colour testing. We're happy to announce the release of Fovea 2.0. The update brings with it some completely new features and an updated user interface. You can now experience your website in the same way that a colour deficient person would or test the graphical design or your latest app, poster or presentation. 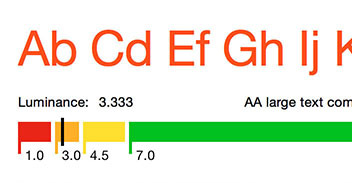 Fovea provides the ability to perform WCAG 2.0 compliance testing for colour contrast; a measure of readability. Ensure your text is accessible by your largest audience online, in print or even as part of your presentation. 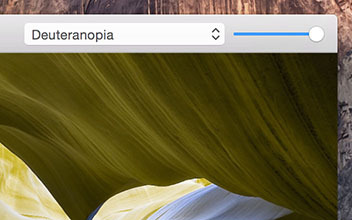 Fovea features a built-in web browser so that you can simulate your website as a user with colour blindness. Testing contrast accessibility is one thing, but seeing your website from the users perspective enhances your understanding of the troubles a user can face online. 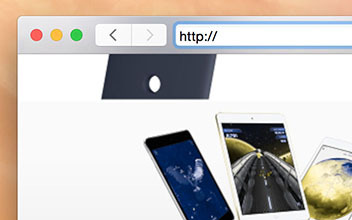 Because it's a browser, you can click through your pages quickly, make changes an reassess with ease. Fovea also includes an image viewer so that you can test anything else you would like. Whether it's your mobile app design, your keynote presentation or just having a look at the world from a colour blind perspective, you'll love opening files and exploring the simulations. "Brilliant app to help make your website accessible to those who struggle with colour contrast. A really useful app for myself and my organisation. Would have paid more."